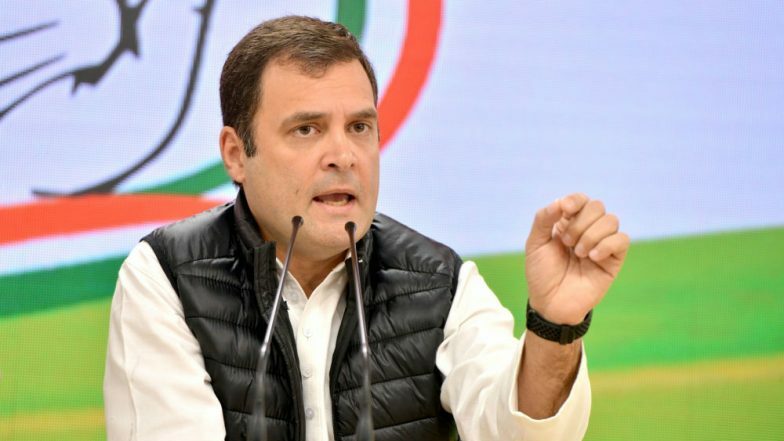 Mahuva, April 16: Congress president Rahul Gandhi Monday said funds for his party's 'Nyay' minimum income guarantee scheme will come from the pockets of fugitives like Vijay Mallya, Nirav Modi and Mehul Choksi. The three businessmen mentioned by Gandhi, are wanted in India for fraud and money laundering. Congress Manifesto For Lok Sabha Elections 2019 List of Promises: NYAY, Farmers, GST 2.0, Jobs, Women Reservation, Kashmir; Highlights And Full Text of Party's Vision Document.